How magic is IMCDelta-Immune in the food supplement Genecel? Is there something special that the manufacturer chose IMCDeltaImmune as a critical component in Genecel? And is there something special that the content of this new component is so high? (200 mg /1 finished product). Let’s find the answer! In 1986, around the world knew about the Chernobyl disaster, about 20,000 people killed and millions suffered from long-term radioactive contamination. Faced with that situation, the Soviet Union instructed scientists to research urgently for a safe and economical product that enhances resistance to improve the health of the victim of this disaster. The National Institute for Probiotics in Leningrad has succeeded after studying more than 600 preparations. The scientists have chosen a product that meets the criteria. It is DeltaImmune (also called Russian choice Immune). The product is further researched at the California Institute for Allergy Research (USA) on the effect of immune enhancement as well as industrial production to ensure high levels of stability. However, early in the 20th century, Élie Metchnikoff (Nobel Prize in 1908 on phagocytic theory) noted that many Bulgarian nomadic tribes use fermented milk products against digestion disorders and for long life. Bulgarian researchers have identified some immuno-enhancing strains of Lactobacillus, particularly Lactobacillus bulgaricus (also known as Lactobacillus rhamnosus). DeltaImmune is the cell wall of a benign bacterial strain extracted from cow’s milk called Lactobacillus rhamnosus. Lactobacillus rhamnosus is one of the benign bacteria found in milk. But DeltaImmune is not a living bacterium; it’s the peptidoglycan walls of bacterial cell. In the process of finding out why Lactobacillus rhamnosus is capable of boosting immunity, the scientists have discovered that the cell wall after the resolution is effective at regulating and stimulating the immune system more than double live bacteria. DeltaImmune stimulates the immune system in place and the whole body, both cellular immunity and humoral immunity. In experimental animal studies, peptidoglycan elements of DeltaImmune strongly stimulated the growth and differentiation of lymphocytes in the intestinal tract as well as in the blood. Besides, DeltaImmune also increases the cytokine levels (biological products that regulate cell activity), in particular, the levels of tumor necrosis factor (TNF-alpha) and interleukin 2, which are two biological compounds that destroy tumor envelopes as well as bacteria and viruses that penetrate the body. Surprisingly, DeltaImmune affects on regulation of the activity of TNF-alpha and interleukin so that they do not damage the body in chronic inflammatory diseases, allergies and autoimmune diseases. DeltaImmune enhances immunity, the body’s resistance, so, it can be used alone or in combination with other substances to support for treatment of many diseases, especially digestive disorders, chronic infections; treatment of reduced resistance in tuberculosis, viral infections. DeltaImmune has been used as a booster for the immune system, widely used in Russia for nearly 30 years and in the United States for about 15 years. Understanding the immense value of IMCDeltaImmune, teachers and pharmaceutical professionals decided to use it as the key ingredient of food supplement Genecel 12 years ago. 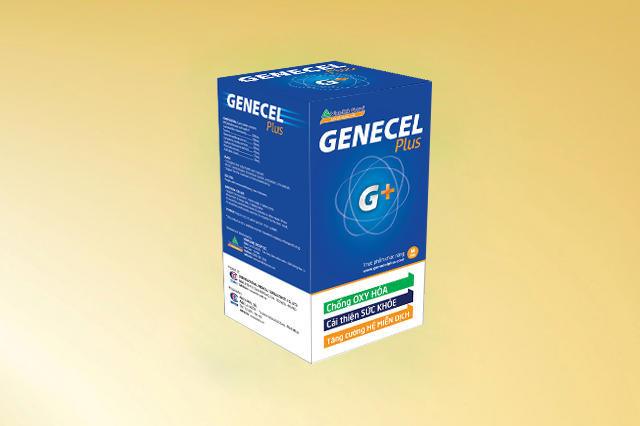 Miraculously, Genecel is always on the top of the product line that protect and stimulate the immune system, enhance the body’s health, defense against oxidation, free radicals. Since 2006, the American Research Institute has transferred the production technology and exclusive distribution of DeltaImmune to International Medical Consultants Company Limited (IMC) for use in premier food supplements.